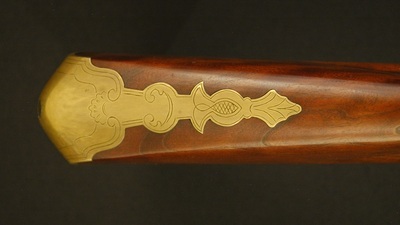 This fowler is based heavily upon originals by Thomas Earle (also Earl, Earll) in Harvard, Massachusetts. Fowling guns were the typical firearm used by subsistence farmers throughout the colonies, and were widely imported. Many original colonial fowlers were pressed into militia service at the start of the Revolutionary War. 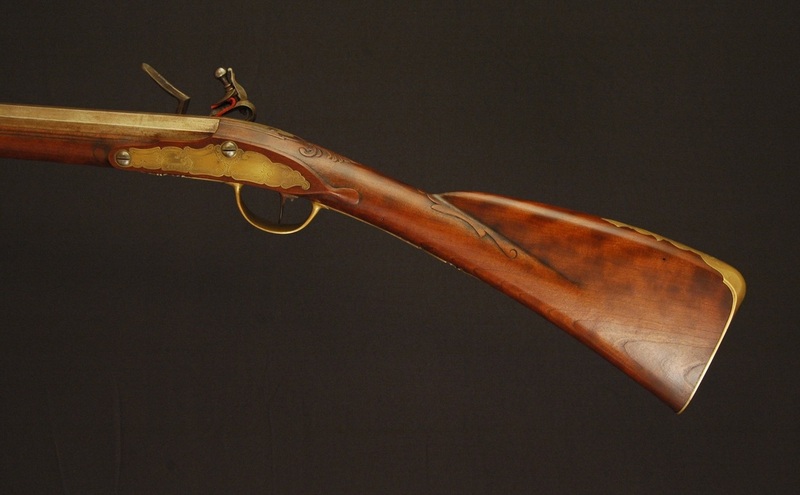 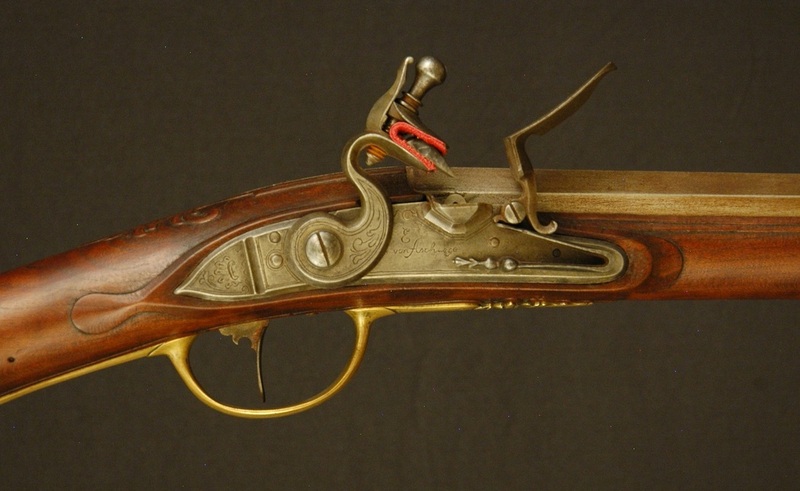 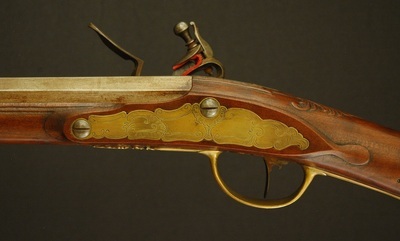 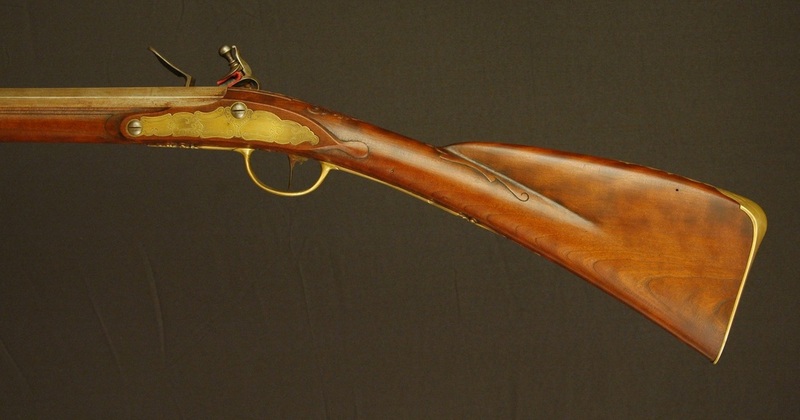 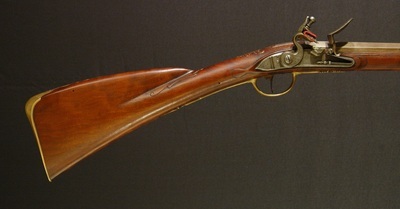 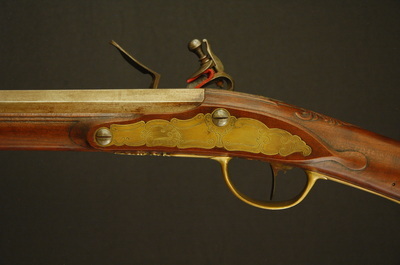 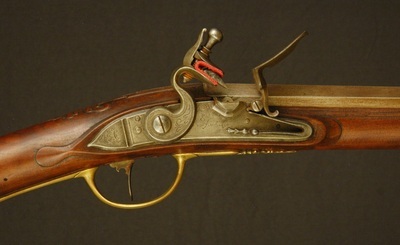 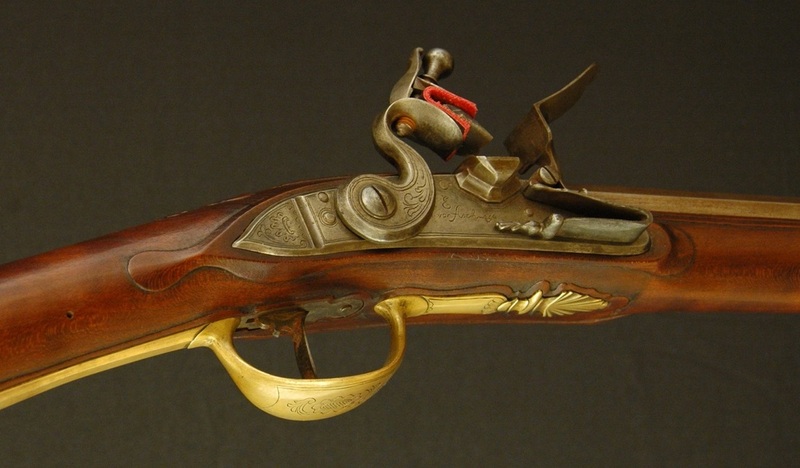 New England fowlers shared many traits with early French trade guns, particularly the sweeping curved architecture through the buttstock. 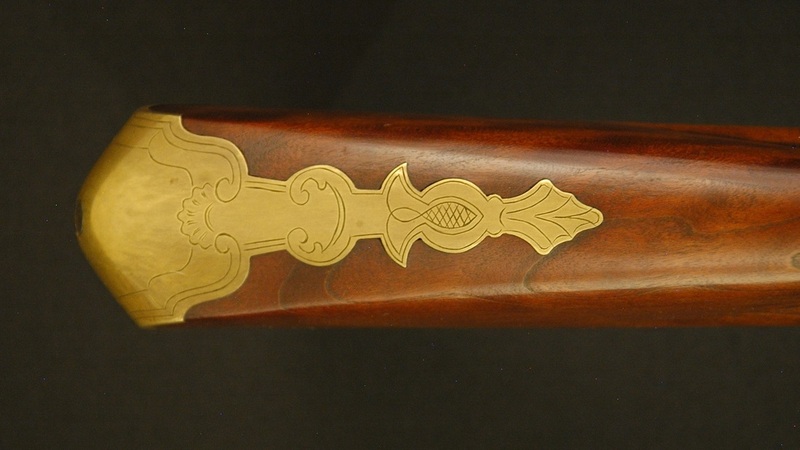 This one features a 46" 16gauge barrel stocked in cherry, and unique New England buttplate, triggerguard, and sideplate.